The latest edition of the well-known Eurosun conference took place from 11-13 September in Rapperswil, Switzerland. 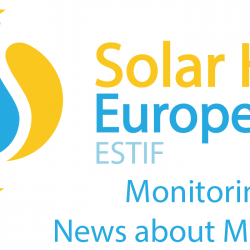 Hosted at the facilities of the HSR University of Applied Sciences, it was a joint organisation of ISES, SPF Institute for Solar Technology and Swissolar. The conference and the side events counted with 350 participants from 49 countries. 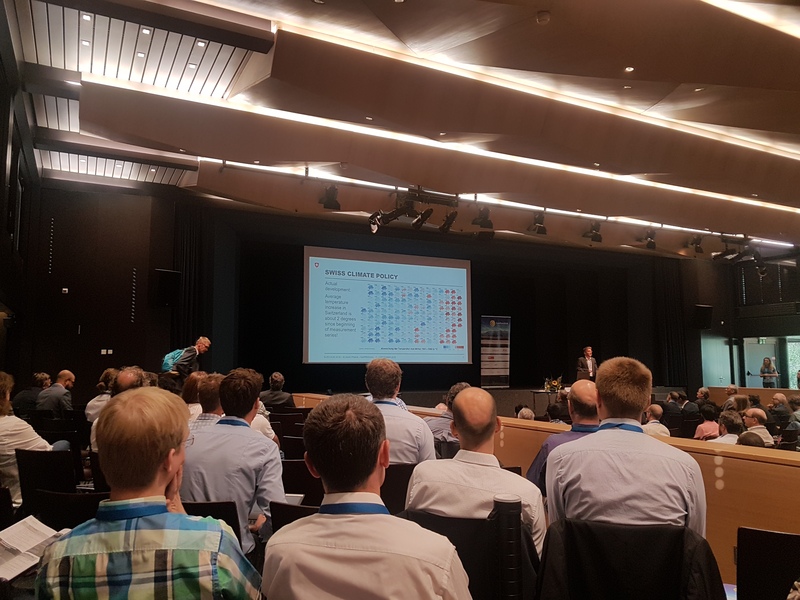 One of the events held jointly with this Eurosun Conference, organised bv Solar Heat Europe’s member Swissolar was the Swiss Solar Heating Conference. This conference includes a session dedicated to Policies and the Market and another to Technology and Research. The first one provided an insight to some of the measures being set up in Switzerland, regarding the support to renewable energies. One of the initiatives to keep in mind is the carbon levy, which refers to a sort of a carbon tax that is later partly reimbursed to consumers and companies, while a part is reallocated to support RES. Another interesting topic was a reflection based on the Austrian experience, addressing “Five Trends to Pump New Energy Into Solar Heating”, by Roger Hackstock, Austria Solar. In this presentation he addressed the competitive edge of traditional markets of small solar thermal plants, related to PV and Heat Pumps, the trends towards larger and larger solar thermal plants; the trend towards clever combinations of Heat Pumps, PV and solar heat; the solar house concept, with up to 100% solar coverage and the digitalisation of Solar Heat solutions. The Eurosun Conference had many other interesting presentations and sessions, namely those addressing solar cooling solutions and developments in terms of performance and costs, that in connection with the increasing market demand for cooling worldwide opens new prospects for this segment of our sector. Eurosun 2018 also brought interesting approaches to the scientific dimension of this type of events, by having a series of videos presenting posters presented during the event. These short videos can be found here. The location of the next edition of Eurosun, planned for 2020, is to be confirmed, though it is likely to take place in the north of Greece.